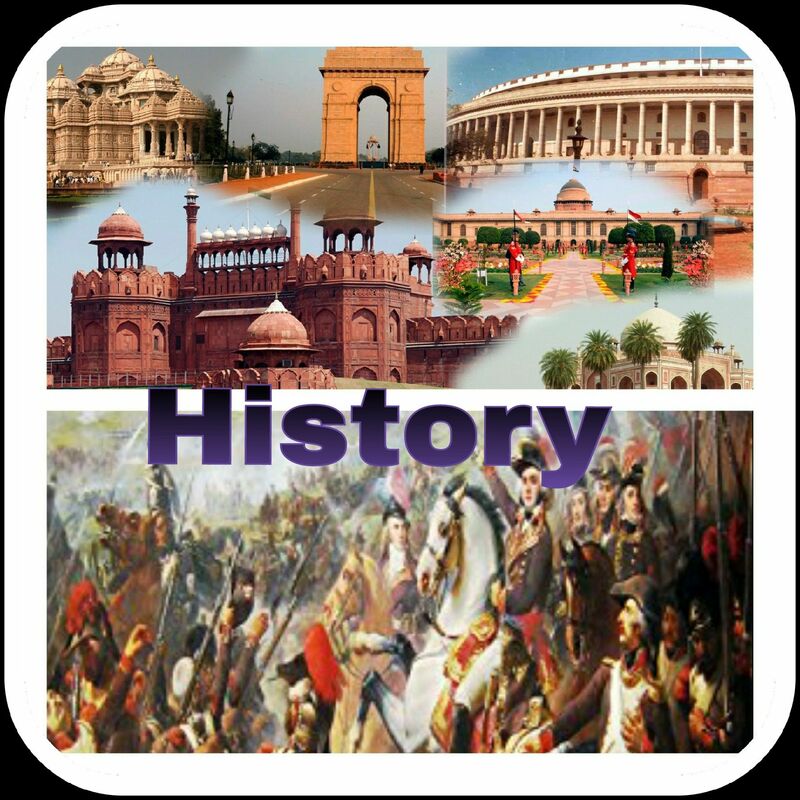 The department of History also started functioning in 1975. The first member of the department Sri G. Sree Rama Chandra Murthy worked from 1975 till his retirement in 1994. After that Sri G. S. Venkateswara Rao did his job till his retirement in 2008.And R.V.Lakshmi Narayana worked from 2008-2011, K.Kiran worked from 2011-13 later Dr.D.Rajya Lakshmi joined in the department in 2013. 1. To orient the students in understanding the past in the light of the present to build bright future. 2. To prepare the students to write various competitive examinations. 3. T cultivate a sense of pride in the culture and heritage of our nation. 1. Guest lectures are frequently arranged to enrich students knowledge. 1. 1. Guest Lecture on Importance of Social Sciences in the Contemporary Indian Society ” – By Dr. Saraswati Raju Iyer, Department of Sociology& Social Work, Acharya Nagarjuna University, Guntur, on 3-3-2018. 1. 2. Guest Lecture on Impact of Socio- Religious Movements on India” – By Ch. Chenchi Reddy, HOD of History ,Satavahana College , Vijayawada, on 28-2-2017. 3. Guest lecture on “Recent trends in the study of History” by prof.Challapalli Swarupa Rani,Department of Mahayana Buddhist studies,Acharya Nagarjuna University, Guntur On 30-09-2015. 5. Guest Lecture on Causes for the First World War. by Sri. R.V.L. Narayana Rao. Retd. HOD AG&SGS College Vuyyuru. On 05/12/2011. 7. Guest Lecture on Impact of Modern Europe in India. by Sri. G.S. Venkateswara Rao Retd. HOD AG&SGS College Vuyyuru. On 26/07/2008. 8. Guest Lecture on Reasons for the second World War by Sri. G. Sree Rama Chandra Murthy Retd. HOD AG&SGS College Vuyyuru. On 23/08/2007. U.G.C. Sponsered National Seminar On "IndiasDemonitization Policy Prospectues and Challenges " On 23rd and 24th January 2017. 1. Conducted Historical tour to Warangal to know about the Kakatiyas Art and Architecture on 04/02/2013 - 05/02/2013. 3.Conducted Historical tour to Srikakulam , Ghantasala, Mopidevi,Kuchipudi,Hamsaladeevi on 26-02-2015. D. Rajya Lakshmi H.O.D of History awarded PhD. Degree by Acharya Nagarjuna University on 27-02-2017. • III rd B.A students Ayesha sultana, Divya got highest marks in Krishna university examinations in year 2013-2014. • III rd B.A student I.D.L. Bhavani receiving best out-going student award in 2014-2015 Academic year. • III rd B.A student V. Vijaya Lakshmi receiving best out going student award in 2015- 2016 Academic year. • B.A students and staff visited St. Lucas orphanage and sirisha’s rehabilitations centre donated rice, fruits and toys to orphan children. • B.A students participated mobile banking awareness programme in Krishnapuram village, Pamidimukkala ( mandal ). • Department of History taken initative step to help economically poor students by encouraging old students of our college Sri.Madu Naga Hareesh donated 2,000 per student on 18-07-2017. • Smt. 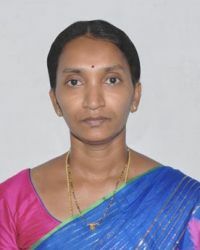 D. Rajya Lakshmi H.O.D of History appointed as academic audit adviser by the Department of collegiate education A.P during 2015-2016 Academic year. • Dr. D. Rajya Lakshmi, B.A girl students participated in National women’s parliament on 10-12th February 2017. Organized by A.P state Government. • Dr. D. Rajya Lakshmi, B.A girl students participated in National women’s parliament on 27-November-2017. Organized by A.P state Government at P.B.Siddhartha college Vijayawada. • Dr. D. Rajya Lakshmi Participated and presented paper National and International seminars and workshops. 1. “Indian National Congress, Harijan Sevak Sangh and Neo-Brahmanisam in Costal Andhra”, Published in South Indian History Congress 32nd Annual Session Proceeding, Edited by Prof. G. Sethuraman, February-2012, Pp.132-136. 2. “Elucidating Social Exclusion and Inclusion-An Analytical Perspective”, Social Exclusion and Human Development, Edited by Dr, P. Subba Rao &Dr. B .Siva Rama Krishna, Published by APH Publishing Corporation, New Delhi-(ISBN no 978-93-313-1936-4,Pp.157-164). 3. “Ambedkar and His Philosophy on some Issues”, Published by ANU Journal of Social Sciences ,Vol . V. No.1. June -2013, Pp-88 – 96, Acharya Nagarjuna University, Guntur ,A.P.,(ISSN no 0976-2744). 4.” History and Facts of Disaster Management in India,” Published by ANU Journal of Social Sciences, Vol. V, No. 02,December-2013, Pp.73-78, Acharya Nagarjuna University, Guntur ,A.P.,(ISSN no 0976-2744). 5. ”Human Discrimination its Impact on Human Rights in Indian Society” Seminar Volume DAR College Nuzvid, December-2014, Pp.1-10, Published by Sri Teja Publications, Gandhinagar, Hyderabad,(ISBN no-978-81-922783-3-9). 6.”Yerraguntla Peraiah: A Pioneer in Mass Movements Among Madigas in Prakasam District,” Proceedings of Andhra Pradesh History Congress, 39th Session, Srisailam, 2015, (ISSN no 2320-057X). 7.”Ambedkar And Higher Education : A Comment” Edited Volume-1, Dr. B. R. Ambedkar on Education” December, 2015, Pp.68-73, Dr. B.R. Ambedkar Chair, Acharya Nagarjuna University, B. R. Publishing Corporation, 425, Nimri Colony, Ashok Vihar Phase-IV, Delhi (ISBN no-9789350502389). 8.”Women and Society under Buddhism: Contemporary Relevance” Edited volume-2 on Buddhist Applied Philosophy The 21st Century Response, Prestige Books International ,New Delhi(ISBN no-978-93-82186-88-5). 9.’’ Gender Discrimination in Employment and wages in Unorganized Sector of India : A Comment’’,2015 ,Pp – 353 -356, International Relations and Human Relations in the Era of Globalization , Paramount Publishing House, Hyderabad, New Delhi,(ISBN no-978-93-85100-05-5). 10. Corporate Social Responsibility Practices ,An exploratory study on Byrraju Foundation in Andhra Pradesh’’Pp.722 -727, Corporate Social Responsibility Public Sector, Private Sector and MNCS, Vrinda Publishing House, Hyderabad , Chennai,(ISBN no .978-93-85518-08-9). 1.“Socio-Economic Analysis of Kalamkari Workers in Andhra Pradesh – A Study in Krishna District” Desh Vikas Publications, Volume :5, Issue: 1, April-June 2018,UGC Approved Journal No. 44701,( ISSN No.2394-1782,) Impact Factor:2.2376. P.no.219-226. 1. “Development of Rural Women Entrepreneurship in Andhra Pradesh”, Published in Global Journal for Research Analysis, August Special Issues-2014, No.08, Pp.66-68,(ISSN no.2277-8160). 2. A Study on SGH’s and Women Empowerment in Andhra Pradesh” KAAV Publications, Pee r Reviewed Journal February , 2018, UGC Approved Journal No. 47663, ISSN No.2348 -4969, Impact Factor(2017) -7. 9183, P. no. 291 – 295.